Get insider access at three top Music City venues on a new Nashville music tour package that includes Ryman Auditorium, Historic RCA Studio B and Hatch Show Print from Mint Julep Experiences. With the SEC Tournament, NFL Draft and more coming this spring, there are tons of options for things to do in Nashville! Mint Julep Experiences specializes in fun and engaging tours of Nashville and Tennessee. Give the gift of whiskey! 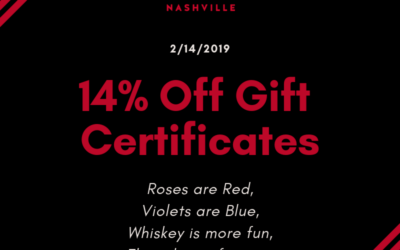 Buy a Mint Julep Experiences gift certificate between Feb 10th and Feb 14th for 14% off. Spend President’s Day weekend in Nashville! Mint Julep Experiences has added several fun Nashville tours on President’s Day and the weekend before. Taste Tennessee whiskey, sample regional BBQ and explore the best Tennessee destinations with us! Celebrate Repeal Day with Mint Julep Experiences by booking your next distillery tour at a discount! We’re offering $19.33 off each public bourbon or whiskey tour ticket with promo code REPEALDAY for one day. Save big on your Nashville tour! Buy a Mint Julep Experiences gift certificate between Black Friday and Cyber Monday for 15% off. It’s a great Christmas gift for the whiskey lover in your life. New Nashville tour from Mint Julep Experiences visits Bearded Iris Brewing for a pint of local craft beer, Edley’s Bar-B-Que for a paired Tennessee whiskey and barbecue flight and Nelson’s Green Brier for a distillery tour and tasting. Thinking about a trip to Nashville for New Year’s Eve (NYE)? Nashville is a hub of great eats, buzzing nightlife and fantastic hotel stays, all packaged in the Southern charm you expect from the Music City. 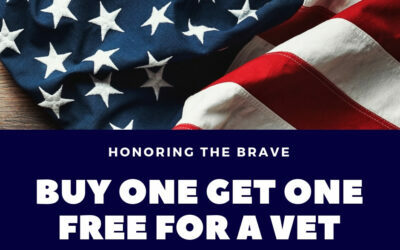 In honor of Veterans Day, Mint Julep Experiences – Nashville is offering a “bring a vet for free” buy one get one offer. For a limited time, buy a gift certificate for 2 Tennessee whiskey tour tickets for the price of one Nov. 9-12, 2018. Tour must be taken on a weekday before March 31, 2019. Need help finding the perfect whiskey gift for the holidays? Learn the different types of bourbon and whiskey to buy for the amateur, enthusiast or connoisseur in your life. We’ve rounded up the top things to do in Nashville for Christmas and New Year’s Eve! Spend your holiday season exploring Tennessee Whiskey Trail distilleries and top Nashville restaurants. Make your holiday party or end of year corporate event special! Mint Julep organizes team outings to whiskey distilleries, top restaurants, and popular Tennessee destinations in safe transportation. Lynchburg, home of Jack Daniel Distillery and the destination on your Mint Julep “Legends” or “Hometown Experience” tour, is a landmark of Tennessee history. Considering a trip from Nashville to Lynchburg or looking for activities during your stop on any of our whiskey tours? We’ve included some notable eats and stops that make Lynchburg a destination for small-town nostalgia. 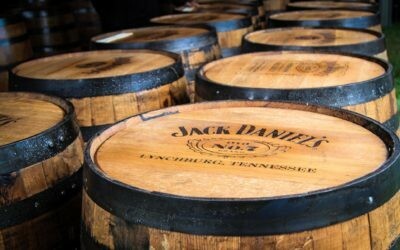 The $65,000 “Roll Out the Barrel” whiskey vacation package includes a stay at Omni Nashville Hotel, a private selection barrel of Jack Daniel’s Tennessee Whiskey, custom boots from Lucchese, helicopter flight and black car service from Mint Julep Experiences, and a shopping spree at Col. Littleton’s Leather Co. When you sign up for the Mint Julep Experiences “Legends” tour, you can expect our tour guides to give you a whiskey history lesson on your ride. But did you know the small towns you pass on your tour are deep-rooted in Civil War and early American history? Fall is a great time to visit Nashville! If you’re planning a weekend getaway or longer Tennessee vacation, we’ve compiled a list of popular autumn events including CMA Awards, Oktoberfest, and festivals of food, beer, wine and art. Travel from Nashville to Lynchburg, Tennessee to learn the story of Jack Daniel, his hometown, and his world famous whiskey. This immersive tour experience is much more than a shuttle to Jack. Tour guide Charlie Robbins has a soft spot for craft distilleries in Kentucky and Tennessee. 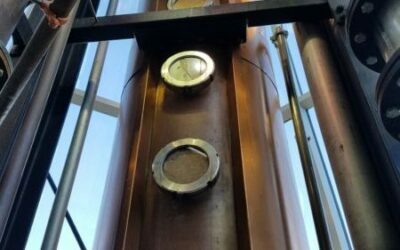 He talks about what makes a craft distillery, gives suggestions for craft bourbon and whiskey distilleries to visit, and talks about the people behind some of his top picks. Travel to Lynnville, Tennessee to meet Col. Littleton, a leather craftsman making some of the finest handbags, briefcases, journals, and home goods in the South. Mint Julep Experiences takes you to this small town gem to learn about the leather working process and shop high-end accessories. New Nashville tour packages highlight the region’s best food, spirits and historic landmarks at Belle Meade Plantation, Peg Leg Porker, Lucchese Bootmaker, Col. Littleton’s Leather Co., and the Kentucky Bourbon Trail. Travelers can choose from multiple half-day and full-day outings to mix and match experiences for the ultimate Tennessee vacation. Nashville craft distillery Corsair is a popular stop for whiskey lovers. Guests enjoy a mini cocktail sampling as part of the experience from a list of breakfast cocktails crafted specially for Mint Julep tours. When it comes to bourbon, Charlie Robbins can put the finest bourbon connoisseur to shame. He’s been to 48 different whiskey distilleries throughout Kentucky and Tennessee and has strong opinions about each of them. We got a chance to sit down with Charlie this week and pick his brain on some of his most memorable experiences along his favorite Nashville area experiences offered by Mint Julep. While Tennessee whiskey is the most common spirit associated with the state, many distilleries are skipping the charcoal mellowing process and producing bourbon. Find out where to find Tennessee bourbon and how to visit bourbon distilleries near Nashville. One of our customers describes her experience in taking one of the Mint Julep Experiences’ whiskey tours. Who was Jack Daniel and how did his Jack Daniel’s whiskey become the best selling brand in the world? We explore the man behind the Tennessee whiskey label, his Lynchburg distillery, and the legends he left behind. See it all in person on a Mint Julep whiskey adventure. If dad loves bourbon or whiskey, he’ll love these gift ideas from Mint Julep Experiences. From insider tours to elevated whiskey tastings, these one of a kind experiential gifts are great for any occasion including Father’s Day, Christmas and Birthdays. Let Mint Julep be your guide to Nashville if you’re traveling alone! Solo travelers often choose to join a group for one of our public whiskey tours. While you won’t know anyone when you begin your adventure, it’s not uncommon for a whole tour group to become friends by the end of the day. Thinking of spending part of your summer in the South? Several festivals and annual events are planned in Nashville, Tennessee to enjoy. With multiple options for Independence Day and Labor Day weekend, you’ll find outdoor fun in the Music City during summer holidays. Headed to Nashville? Here are the best tours, restaurants, attractions and destinations near the Omni Nashville Hotel in downtown Nashville, TN. Whether you’re staying at the hotel or visiting the Music City Convention Center or Country Music Hall of Fame, you can’t lose with this list. Spring in Nashville is a fantastic time to plan your Tennessee vacation. From whiskey tours to music festivals and outdoor events, this is your guide to spending time in Nashville this spring 2018. 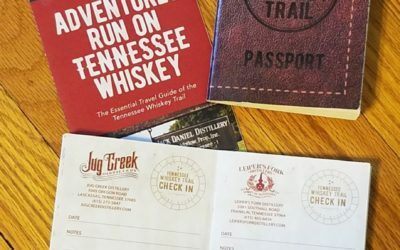 Learn about the three sections of the Tennessee Whiskey Trail (Middle, East and South) and its 30 Tennessee whiskey distilleries and innovative craft distillers of vodka, gin, moonshine, bourbon, rum and more. Find out how to tour each TN Whiskey Trail distillery. Whether you’re headed to Nashville for a bachelor or bachelorette party, birthday party or weekend getaway, this Nashville playlist of songs about Tennessee and whiskey are sure to get your ready for the trip! Just add a Tennessee Whiskey Adventure for maximum fun. Mint Julep Tours will expand to Nashville in the spring of 2018 initially offering ticketed public tours several days a week visiting Tennessee whiskey distilleries like Jack Daniels and George Dickel. We are often asked how our guests can bring their favorite Kentucky bourbons back home after their visit. Here are the current guidelines and regulations with the TSA for taking alcohol on planes. Mint Julep Tours guides are encouraged to become certified bourbon stewards with Stave & Thief Society, an in-depth American whiskey education program.